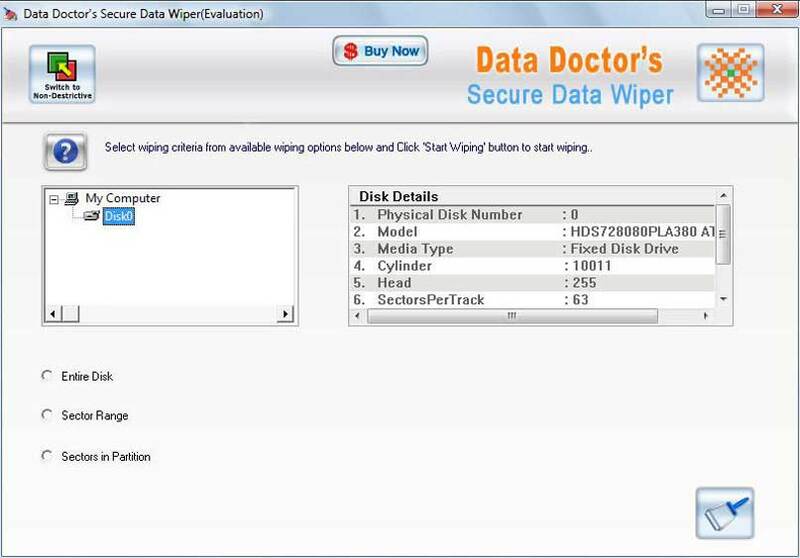 Data wiping software permanently wipes and removes selected files and folders, wipes entire disk drive (existing or non-existing data), unused disk space on your hard drive disk and Removable Storage Media to safeguard computer privacy. Erase important files completely so that it can not be accessed or recovered using any data recovery software or even using any data recovery services. Completely delete all system offline and online internet explorer activities files including administrator temporary file, typed URL, clipboard content, recent documents, recent network folder, system registry traces and Windows event log and free up your disk space for better system performance. Best and easy solution to keep your computer privacy. Wipe unused space on your hard disk. Clean computer from traces and links of the internet activities. Support both destructive and non-destructive wiping mode. Wipe deleted files and folders completely. Wipe unused disk space and clean files and folders. Supports FAT and NTFS file systems.